“Wisteria Maiden”, the new creation by Andonis Foniadakis/Apotosoma Dance Co, borrows the title from a Kabuki play that narrates the story of an unrequited love; a girl in a painting that comes to life out of her desire for the man she has fallen in love, only to be rejected and return to her painting in despair. Apart from the story, what was intriguing for Andonis Foniadakis, is that in Kabuki, all the female roles are interpreted by male actors. The notion of transformation in this context and the questions on the construction of gender that rise were the starting point for a process that was further enriched with other elements that led the piece to explore new directions: disguise, role-play, presence/absence through the use of masks, and the romance of the Other. The result is a personal universe through the play and distortion of several references, coming not only from traditional Japanese theatre – Kabuki, Noh, Bunraku puppets – but also from Japanese painting, photography, ghost stories and myths and symbols. The choreography functions as a ritual and shifts from being a batterie calligraphy to slowing down in order to reveal the power of the precision of the gesture. A continuation of powerful images that come and go, reminding us the perpetual aspect of natural phenomena, picturing another representation of nature and revealing the realness of the artificial. Andonis Foniadakis grew up in the city of Ierapetra, in the south part of the island of Crete, in Greece. He began his dance training with Niki Papadaki at the local dance school, in his hometown. From 1990 to 1992, he studied at the State Dance School of Athens and before his graduation he received the prestigious Maria Callas scholarship to continue his studies in Rudra Bejart Lausanne, in Switzerland until 1994. 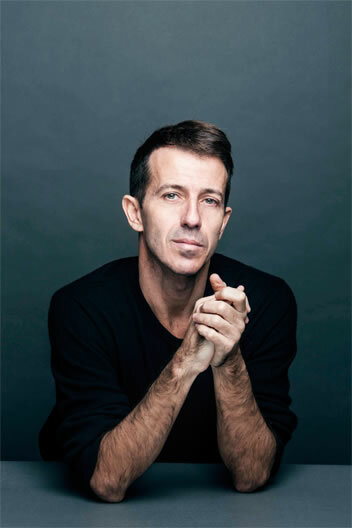 Foniadakis has been commissioned to choreograph for two operas. In 2014 he collaborates as a moving coordinator with Darren Aronosfky on his new film NOAH. As well in 2012 he received the Danza and Danza Award for the “Best Choreographer 2012” in Italy, for the creation Les Noces in Maggio Danza. In addition to creating and performing, Andonis is teaching seminars based on his personal dance technique. He has been teaching in the State Dance School of Greece, DAN.C.CE studios and Baile de Barrio in Athens, DOCK11 in Berlin, CND and CNSMD in Lyon, Dansgroep Amsterdam, Henny Jurriens Studio Amsterdam, Kuopio Dance Festival, CCN Lorraine, Martha Graham Dance Studios, Broadway Dance Center.